Are you looking to buy stock photos or vectors? Are you a print or graphic designer who needs images for your project? Is your client price sensitive? Meet 123RF, one of the leading stock photo agencies. They offer a huge collection of Royalty-Free Images and vectors from around the world. They usually do not offer coupon codes or rebates, but this time we could get you an exclusive 20% off coupon code for all their subscription plans for new customers, and additionally a 10% off coupon code for all subscription plans for existing customers! Our exclusive 123RF coupon code for new customers gives you a great 20% discount on any subscription plan you purchase. For more information on their plans and prices, have a look at our full 123RF review here. If you've never used this agency before, this is the perfect chance to get started and seize a unique discount deal! 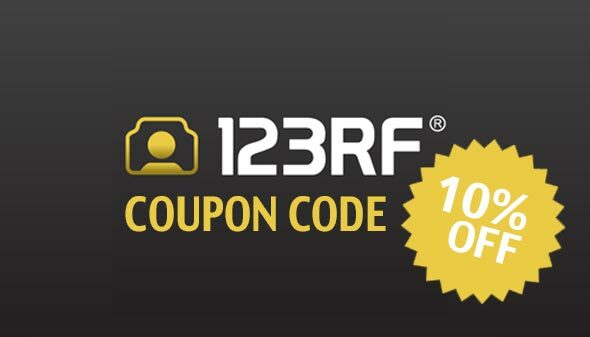 123RF and Stock Photo Secrets bring you this exclusive 20% off coupon code in all plans for new customers only, so go ahead and buy your 123RF plan at a cut-price today! If you already have an account at 123RF, don't worry, we also have something in store for you… In the form of this cool coupon code with a 10% discount in all subscription plans and credits for existing customers! That's correct: you can buy any plan or credit pack you want at 123RF and get it at 10% off from regular price. Grab it today and save some sweet bucks in your stock photo subscription! 123RF.com is one of the TOP5 stock photo agencies in the market and caters to almost everyone. Their images start at $1 and their stock photo collection grows significant every day. Not only that, professional photographers are shooting high-end images to be used in your next advertisement, web-design, flyer or poster. They are based in Asia which means they also offer a huge variety of stock vectors and images from Asian countries. But no worries, they also have American and European style images available in their stock library. You will be amazed at how great their content is, just don't forget to copy the promotion code and save from 10% and up to 20% in your purchase. This is a very unique offer and only very few another website can offer you such a great price on 123rf. Now you might think that it's very expensive to buy such high-end photos? No worries – 123RF.com offer images at $1 and with their subscription, you will save even more and the price go much lower than $1 per image. Their subscription starts at $89 per 30 days and lets you download 5 images in XXL resolution per day. This way you have access to their high-resolution images as well. You might not like to purchase a subscription then you can also just download images via Credits. If you want to buy via Credits, their packages start at only $12.50. Wait no longer and grab your 123RF coupon code right now!